Base price increase of $2000 for Evora however Sport Pack is now standard so really a $500 increase in price since that option goes for $1500. One of the most prominent interior modifications has come from the change in Satellite Navigation System. 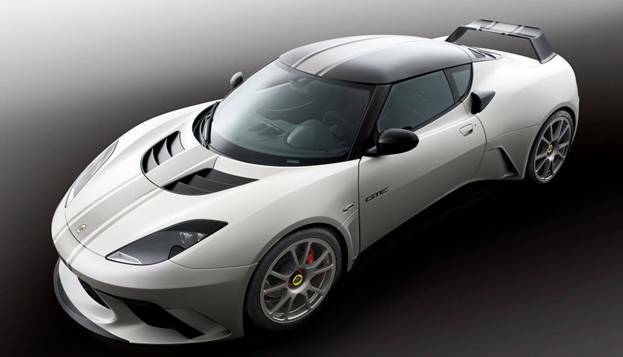 Both the Evora & Evora S Tech Pack option will now feature the Pioneer F930BT. There is a selection of new exterior colours, including 3 colours unique to the Evora. Red Caliper Brakes are now standard on the Evora S and are part of teh Sport Pack on the Evora. The new exhaust for MY12 improves the engine note, giving the Evora a sportier tone. Within the exhaust a valve opens above 4700 rpm, changing the flow of exhaust gases, increasing the volume. When the sport button is depressed the valve stays permanently open, giving an exhaust sound commensurate with the car performance. The naturally aspirated Evora with no Sport Pack will open its valve at 4700 rpm but only the sport button in the Sport Pack will override it. Three different optional Premium interiors can now be specified on the Evora range: Premium, Premium Suede Tex or Premium Sport. The leather grade has been improved over MY11 giving an immediate better quality perception of the car. The interior colour break down will also change. The cabin will now be fully trimmed in the colour of the Premium Pack selected. For the Premium option there is a wide range of leather colours including Ebony Black, Ivory White, Venom Red, Cognac Brown, Imperial Blue, Cocoa Brown and Ash Grey. A double material seat with Ebony Black Leather and Slate Grey Suede Tex® is also available. White with premium option all stitching in piping is in the same tonal colour as the selected leather. It is also important to note that all seats also come with tonal piping and the Lotus roundel embossed into the headrest. On the Premium Sport option a range of four leather colours are available, Ebony Black, Venom Red, Cocoa Brown and Imperial Blue. The seat itself now has a different stitch pattern, carbon effect leather inserts, a contrast stitch, which is also replicated throughout the rest of the interior. In the Premium Sport Pack the Lotus roundel emblem will be embroidered onto the headrest. Registration is not required but much appreciated. No charge to attend, members and non members welcome! Dietsch Werks is located inside Club Auto Sport of San Jose at 521 Charcot Ave. Race prep in Unit 251, pizza party in the 10k sq ft event center. Registration is now open for the September 11th (Sunday) event at Marina Airport. As usual only participating GGLC members can register during the first week of registration. Club members are also given preference on the waitlist. Click here to register on the motorsport reg site. Cost is $60 for members and $70 for non-members. Several GGLC members attended the special SFF1 pre-release screening of the Senna documentary with director Asif Kapadia last night. We have been hearing rave reviews of the movie for several months now and have to say that the movie meets and actually exceeds the hype. The film makers have done a masterful job keeping the flow of a movie and building suspense even though we all know how the story ends. Former Lotus F1 driver Martin Donnelly will be joining LOG 31 as the guest speaker for the Saturday Banquet. Martin, is an Ambassador for Lotus Cars alongside Jean Alesi and Nigel Mansell. He is also Chief Instructor at the Lotus Driving Academy. After competing in Formula 3 and Formula 3000 he won 3 races and was a championship contender. During 1988, as well as fulfilling his racing commitments, Donnelly was the test driver for Lotus Formula One team. But it was during 1989 that Donnelly got his first race start when he substituted for Arrows driver Derek Warwick at the 1989 French Grand Prix. In 1990 he continued in F1 with Lotus as a race driver alongside new team mate Derek Warwick. Donnelly has since managed a Formula Vauxhall team. On July 2, 2011 at the Goodwood Festival of Speed, Donnelly drove a Lotus 102 similar to that which nearly took his life. The Lamborghini-powered car was the same specification as the car he drove in 1990, the original car having been completely destroyed in the crash. Having worked as sporting director and driver development manager at Comtec Racing, Donnelly has recently formed the Donnelly track academy specialising in Lotus trackday events and racing services in Norfolk. When calling, provide your full name and Lotus, Ltd. as your group affiliation. Only 100 tickets are available. All orders must be placed by October 1st to allow for processing. Tickets will be available for pickup in the LOG registration room at the Red Rock. Tickets will NOT be available for purchase during registration! Click here to visit the official LOG 31 website. The new Lotus Evora GTE Road Car Concept will be unveiled to the world for the first time within the Lotus exhibit at the McCall’s Motorworks Revival event Wednesday night, August 17, at the Monterey Jet Center. The Lotus Evora GTE is a race car developed with a single-minded aim to be successful in the new global motorsport GTE category, which includes the world famous Le Mans 24 Hours. 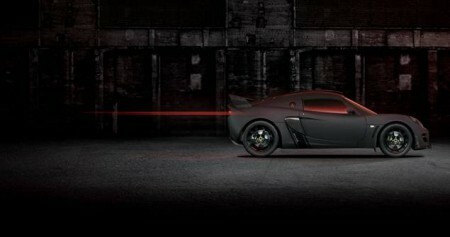 To celebrate this ground breaking car, Lotus has built the race-inspired Evora GTE Road Car Concept. This high-strung Evora elicits over 420 bhp from its race-developed engine, fed through a sequential AMT racing gearbox and put to the pavement through ultra-lightweight forged alloy wheels with center-lock hubs shod with Pirelli P-Zero Corsa tires. The Evora GTE Road Car Concept isn’t merely a paint scheme or homage to a race car – this is a serious race car that makes for a very serious road car. The Evora GTE Road Car Concept will later be shown within the Lotus exhibit on Peter Hay Hill near The Lodge at Pebble Beach Thursday, August 18 through mid-day Saturday, August 20 before being moved onto the Concept Car Lawn for display throughout the remainder of the Concours weekend. To mark the end of an era of Exige production, Lotus has created the Exige Matte Black Final Edition – exclusively for North America. 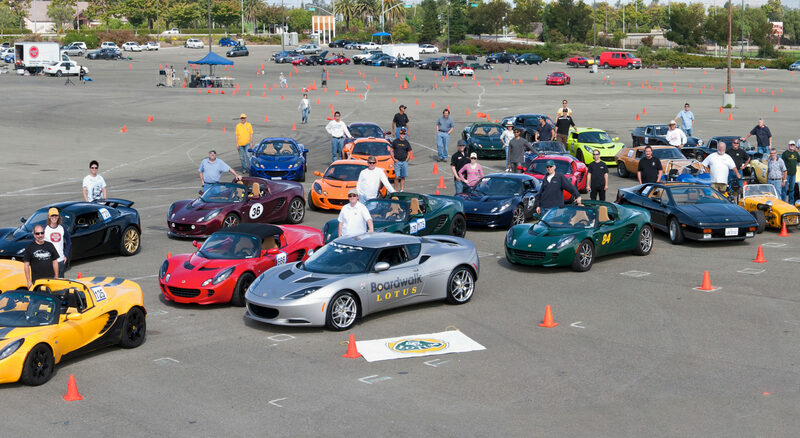 The Exige is one of the world’s greatest sports cars, and this Final Edition of the motoring icon will premiere within the Lotus exhibit on Peter Hay Hill near The Lodge at Pebble Beach Thursday, August 18 through Sunday, August 21. With power upgraded to 257 bhp, an exclusive Matte Black paint finish providing a stealthy presence, black Alacantara sport seats and a high level of standard equipment, the Exige Matte Black Final Edition makes a striking statement. Only 25 examples of this Exige will be built, each with their own numbered plate, which should help make these cars instantly collectible. 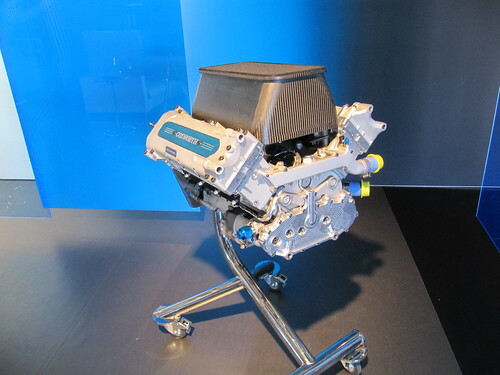 Quick video from Cosworth/Lotus talking about the GP V8 engine that powers the Lotus T125. As an added bonus check out this video of the Stig piloting the T125 around the Top Gear track. Click here to watch the full Top Gear test video. By special arrangement with F1 in America and The San Francisco Formula 1 Group, ‘SENNA’ will be shown Thursday, August 18th, ahead of general release in the San Francisco Bay Area. Director Asif Kapadia has graciously arranged to make time to attend this special San Francisco screening to discuss the film for a truly one-of-a-kind evening with you – all interested in the film and it’s legendary subject are welcome to attend. 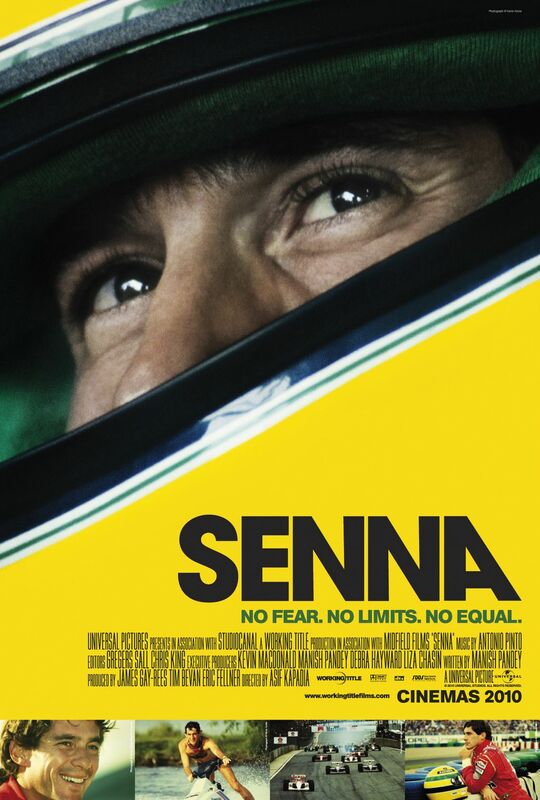 Over 15,000 hours of archive footage were considered by Kapadia for a work of film that critics, F1 fans, non-race fans and especially the Senna family love. The film has been moving moviegoers around the world since it opened last October, and hit the ground running in the United States earlier this year taking the 2011 World Cinema Documentary Audience Award at Sundance. This event is happening with the support of friends and the greater car club/racing community, and members of the Brazilian community are particularly encouraged to attend. This showing will not be advertised, so please spread the word around your favorite forums and boards about this special night. Movie posters will be available at the screening, while supplies last. We cannot thank everyone’s support enough for making this very special evening possible for all fans of racing and the film’s hero, Ayrton Senna. BAFTA award-winning filmmaker Asif Kapadia is known for his visually striking films. He has an interest in exploring the lives of ‘outsiders’: characters living in timeless, extreme and unforgiving circumstances or landscapes. His films have been awarded and distributed internationally and show how versatile and expressive British cinema can be. Visit http://sennamovie.com/ for a complete bio. 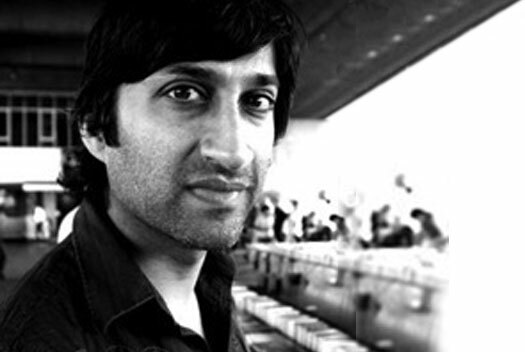 Click here for tickets to this special San Francisco only advance screening with Director, Asif Kapadia. SENNA opens in Berkeley and San Francisco August 19th, and Palo Alto on August 26th. Visit http://bit.ly/sfsenna for upcoming SF screenings, and http://on.fb.me/p88l4j for more on Palo Alto screening events.